George Bush beat Al Gore by only 543 votes in Florida. Gore needed Florida’s electoral votes in order to win the presidency. He did not get them. Gore’s diehard Democratic Party supporters have declared Green Party presidential candidate Ralph Nader the reason their candidate lost the 2000 presidential election, even though numerous other factors in the climactic Florida vote-counting drama affected the outcome. Instead of focusing solely on the votes Ralph Nader took from Al Gore, a balanced analysis would also take into account the following: (1) voters who were disenfranchised; (2) voting systems and procedures that failed; (3) the party-line United States Supreme Court vote declaring George W. Bush the winner; and (4) Democrats who voted for Bush or not at all. The Florida Secretary of State’s Office hired a private firm known as Database Technologies, Inc. (now ChoicePoint Corporation) to identify convicted felons and remove them from Florida’s voting rolls. Prior to the election, 94,000 voters were removed (Kelly, 2002). This is legal if someone has been convicted of a felony, but as it turns out, 97 percent were innocent and should not have been removed. "The list was full of mistakes mainly because of the criteria [the database company] used. It compared its list of felons with the Florida voting rolls by looking for a rough match between the names and dates of birth. Thus a Christine Smith could have been disqualified if there had been a Christopher Smith of the same age with a felony record somewhere in the US. [the database company] also used race as a matching criterion, skewing the impact of the errors even more against black voters" (Borger & Palast, 2001). As The Nation magazine reported, "immediately after the November 7, 2000 election, minority voters who had never committed crimes complained of having had their names removed from voting rolls in a purge of ‘ex-felons,’ of being denied translation services required by law, … and of harassment by poll workers and law-enforcement officials." The list of voters denied the right to vote was overwhelmingly Democratic and half were minorities (Kelly, 2002). Al Gore neither protested the disenfranchisement nor supported these voters’ lawsuit to regain their vote. Impossible to discern voter intent or is ambiguity in the eye of the beholder? One common type of disqualified ballot, called a double bubble, showed a double vote for president in that a voter marked the oval next to the candidate’s name and then also marked the oval next to "write in" and wrote in the same candidate’s name. A Washington Post review (2001) found that Gore would have had a net gain of 662 votes, enough to win, if there had been a hand recount of "over-votes," mostly from double bubbles. for Buchanan instead of Gore because of the layout of the ballot. The United States Supreme Court voted five to four along party lines to uphold the vote certified by the Florida Secretary of State, Kathleen Harris, declaring George Bush the winner in Florida. Between undercounts and overcounts, that vote count was riddled with inequities. Harris’s role has been sharply criticized because she worked for the Bush campaign, and thus had a direct conflict of interest. Because varying voting standards were used within different counties, the Florida Supreme Court said it was each county’s responsibility to ensure ballots were treated uniformly. Some counties began a manual recount of the vote. The United States Supreme Court, however, stopped the manual recount altogether by requiring canvassing boards to meet an impossible Electoral College deadline. Even if none of the factors mentioned above had happened, the votes of Florida voters themselves show that Ralph Nader was not responsible for George W. Bush’s presidency. If one percent of these Democrats had stuck with their own candidate, Al Gore would easily have won Florida and become president. In addition, half of all registered Democrats did not even bother going to the polls and voting. Green Party Presidential Candidate Ralph Nader did not work for the Florida Secretary of State, the Palm Beach County Election Commission, the Al Gore campaign committee, or the United States Supreme Court. Yet, he has become a scapegoat among many Democrats for Al Gore’s loss of the 2000 election, and, beyond the election, the person to blame for the resulting policies of George Bush. These diehard Democrats are averse to looking at the failings of their candidate, and they are not blaming voters for failing to vote at all. Instead, they are upset that Ralph Nader did not acquiesce to dropping out of the race as many urged him to do. As a side note, if Al Gore had won his home state of Tennessee, he would have had the necessary Electoral College votes to have won the election and the Florida results would have been irrelevant. 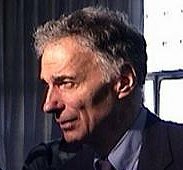 The facts are compelling and undeniable that Ralph Nader is not the reason, and should not be blamed, for George Bush’s victory in the 2000 presidential election. Borger, J. and Palast, G. Guardian Unlimited The Guardian. (2001, Feb. 17). "Inquiry into new claims of poll abuses in Florida." Retrieved April 28, 2003 from http:/www.guardian.co.uk/international/story/0,3604,439222,00.html. Keating, D. and Mintz, J. Washington Post. (2001 Nov. 13). "Florida black ballots affected most in 2000." Retrieved April 28, 2003, from http://www.washingtonpost.com. Kelly, G. The Observer, Guardian Media Group. (2002, Oct. 31). "Exile on mainstream." Retrieved April 28, 2003, from www.gregpalast.com. Nichols, J. (2001). Jews for Buchanan: Did you hear the one about the theft of the American Presidency? New York, NY: The New Press. Rakove, J. N., editor. (2001). The Unfinished Election of 2000: Leading Scholars Examine America’s Strangest Election. New York, NY: Basic Books, A Member of the Perseus Books Group. San Francisco Chronicle. (2000, Nov. 9). "Election 2000." Utilizing, Voter News Service. The Nation Company L.P. - The Nation. (2002, June 17). "No Justice In Florida." v274 i23 p3. Retrieved April 28, 2003, from Info Trac Web: Expanded Academic ASAP database. Trandahl, J. - Clerk of the House of Representatives. (Correct to June 21, 2001). Statistics of the Presidential and Congressional Election of November 7, 2000.